Liquid honey is what most people think about when someone says honey. 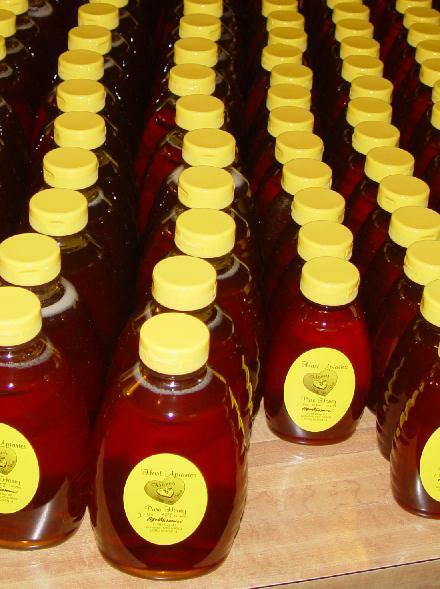 Did you know that honey comes in as many flavors? 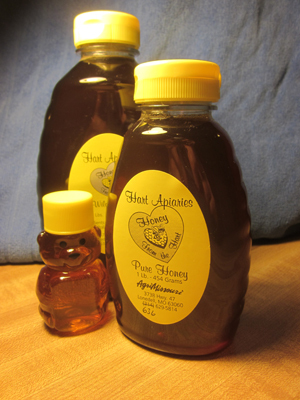 The flavor and color of honey is dependent upon the flowers that the bees visit when gathering nectar and pollen. 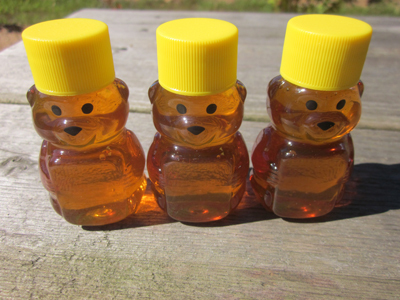 We now carry our honey in plastic squeeze bottles which cuts down on the shipping weight as well as reducing worries about container damage during transit. You can see our prices or make a purchase at our online store or you can stop by and make a purchase at the farm. Please make arrangements with us if you are coming to the farm on a day that we have not specified that we will be open so we don't miss you. We do accept credit cards online but not at the farm. 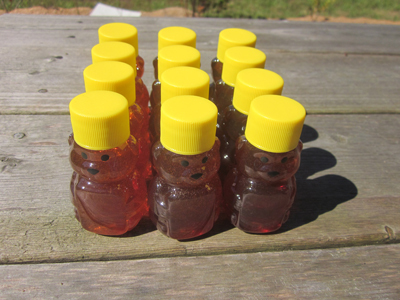 We have2.25 ounce honeybears. They are just the right size for gifts and we have a number of package sizes to meet your needs. You can purchase them at our online store. 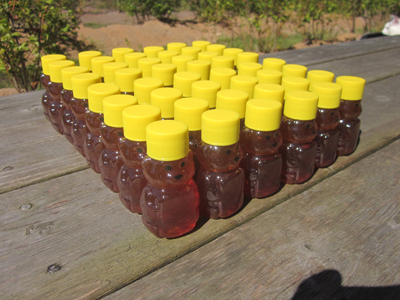 We are currently sold out of honey but hope to harvest in late June. It is not spoiled! Did you know that honey is the only food that will not spoil? If your honey begins to crystallize all you need to do is warm it up. (Melting the crystals in honey should only be done by a responsible adult!) This is easily done by leaving the securely closed container of honey on your car dash with the windows up on a warm spring or summer day. Be careful! Honey is very sticky and hot honey can cause a nasty burn. 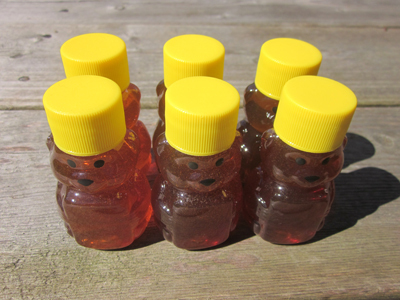 If you spill honey in your vehicle it will create a sticky mess.